Insulated container manufacturer Thermos scored two big victories to me yesterday. drink his beverage. It also kept the Sipp mug from being totally drip-proof. BigDubb tweeted the Thermos customer service handle. They replied in less than an hour, and an email correspondence began shortly thereafter. In just a few short hours, Thermos notified my pal they were sending him a brand new lid 2nd-day air via FedEx. I use my Thermos insulated beverage bottle every day when I come to work. This morning I took my Thermos out of my messenger bag and unscrewed the lid. A ton of coffee spilled out onto the counter. I realized that left the inside lid in the open position and rode home on my motorcycle, coffee sloshing out into the outer lid. Here’s the cool part, though. Despite my idiocy, the Thermos outer lid had such a good seal that not a single drop of coffee made its way to the inside of my messenger bag. This is what a Bag of Crap looks like. 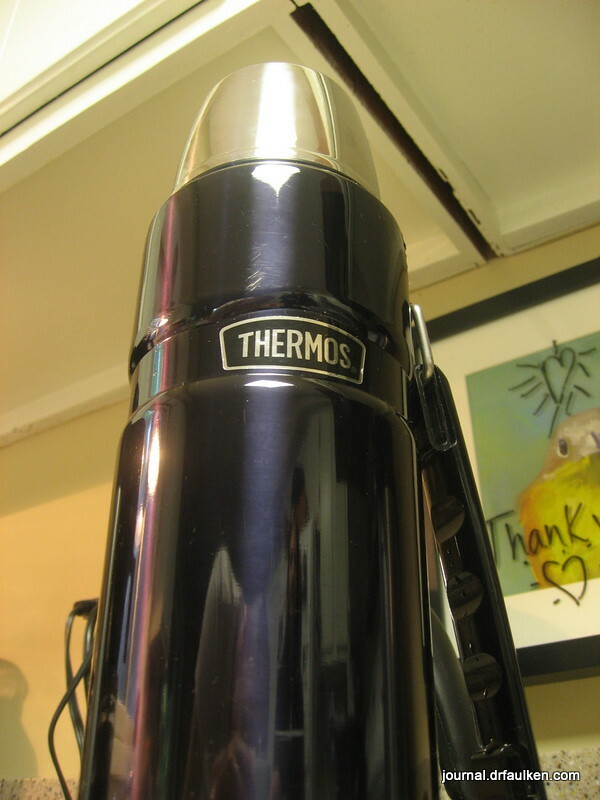 1 Comment on "Thermos Saves the Day – TWICE." I love my thermos. It’s so big and heavy though I don’t bring it to work in my cubicle. I feel like I need to take it out on a more manly job. I do like it on car trips though!